Everybody was telling us to go to Tikal when we were planning our itinerary for Belize. Tikal is located just over the border in the lush rainforests of eastern Guatemala. Yes, Guatemala. Not Belize… So it felt a bit like cheating on Belize. 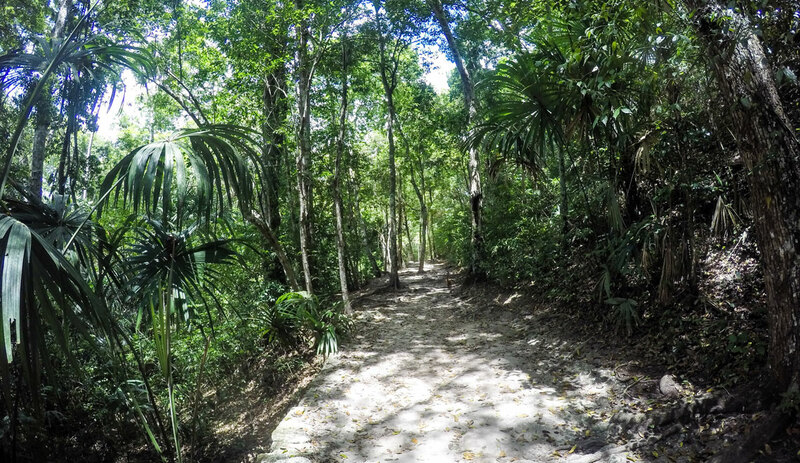 You can already guess by reading this article we did do the day trip to Tikal from Belize. And I am glad we did! It was nothing like I expected. If you are in doubt too, I will tell you exactly why you do not want to miss it. We booked the day trip through our accommodation, as we did not want to drive ourselves. This turned out for the better as it is quite a drive still from the border. Crossing the border was also not too difficult due to the help of our tour guide. It felt a bit like being in a movie as the border post was quite primitive. The drive from the border is 2-3 hours, depending on the stops. The drive is beautiful. Tikal is possibly one of the most magnificent of all Maya archaeological sites. With over 3,000 structures it is a place of wonder and amazement. In comparison to the sites in Belize (and we visited several), Tikal is larger and more restored. We hiked through a dense jungle passing a crocodiles pond on our right. Yes, crocs live here too. I expected it to be a touristic park with signs every other meter and wide paved paths. It wasn’t like that at all. We kept hiking the jungle, underneath the canopy to avoid getting too hot. Here you hear the perfect exotic jungle noises. The wind blowing through the trees, the birds’ chatter and in the distance a howler monkey with their ancient call. I was hoping to encounter a jaguar, but instead, we crossed our path with a family of friendly Pizotes. Funny little creatures. And at the end of the day, the howler and spider monkeys came out to wave us goodbye. Tikal was once a wealthy metropolis, home to an estimated 100.000 inhabitants. It is the size of a city and thus you need to stay for a few days to take it all in. We just had the day. We climbed the most spectacular temples and saw the grand plaza. We took lots of pictures and had the best time. I’d love to go back to stay at one of the lodges to visit the parts of the park we have not seen yet. Fun Fact: for those Star Wars fans out there, Pyramid IV is the site of the rebel base where they shot Episode IV: A New Hope. Did you recognize it? 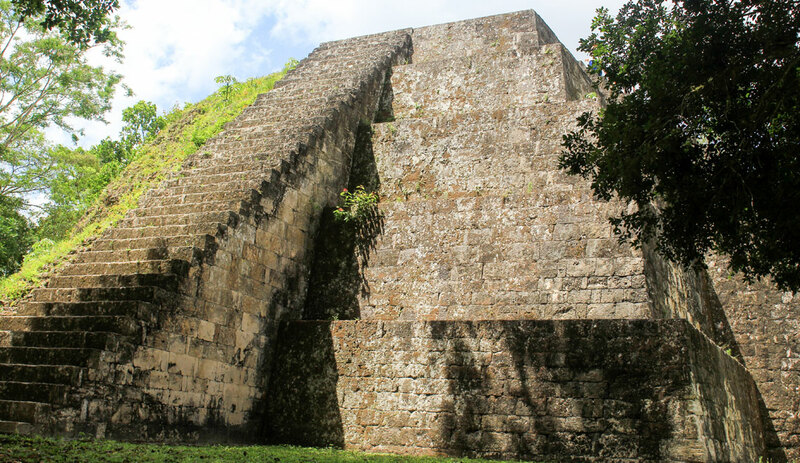 What to see and do in Tikal? Something I wasn’t able to do is the sunrise tour. It is most definitely worth it to see the sun rising above the jungle. Check the weather because there is no point in waking up that early if it’s not going to be a clear day. Or is you aren’t a morning person like me, there is the other option: the sunset tour. And try to stay at the park as you have the unique opportunity to stay at one of the lodges or camp sites. Very exciting to stay in the middle of the jungle and to see the ruins at night time. Tip: try to book when there is a full moon. 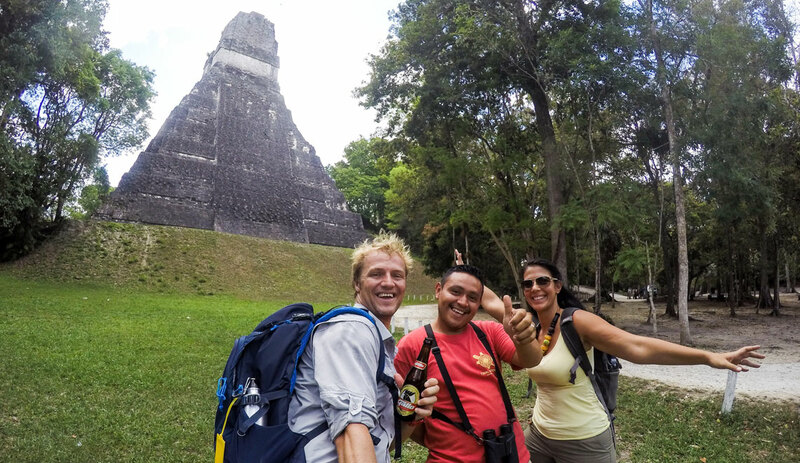 When is the best time to visit Tikal? If you like to have clear weather for a sunrise tour you should aim for January to March. There aren’t as many bugs and less chance of rain. However, the high season attracts more tourists. If you are not into big crowds and love to get those pictures without anyone standing in your shot, go like we did in June. We had a day full of sunshine, and just a little rain shower which was actually very refreshing. Prices are better and there are more tour guides available. Why should you get a tour guide? We booked a private tour through our hotel. We stayed near Xunantunich, which is just 15 minutes from the border. Marcos, the tour guide, welcomed us at the border of Guatemala. Full of pride, he showed us his amazing country in the drive up to Tikal and made a few stops along the way (try the tortillas alongside the road). It took about 2 hours. Marcos was such a great guy and knowledgeable. Without him, we wouldn’t have had the same experience. We wouldn’t have seen the howler and spider monkeys and the many special birds. And we most definitely would have gotten lost, like many others we met on our way. So yes, paying a good tour guide is worth every quetzal. I can’t argue with the fact that is was such a great experience. So in my opinion, it was terrific! Yes, there are other tourists but not as I expected it to be. I can imagine it can get busy in the high season. 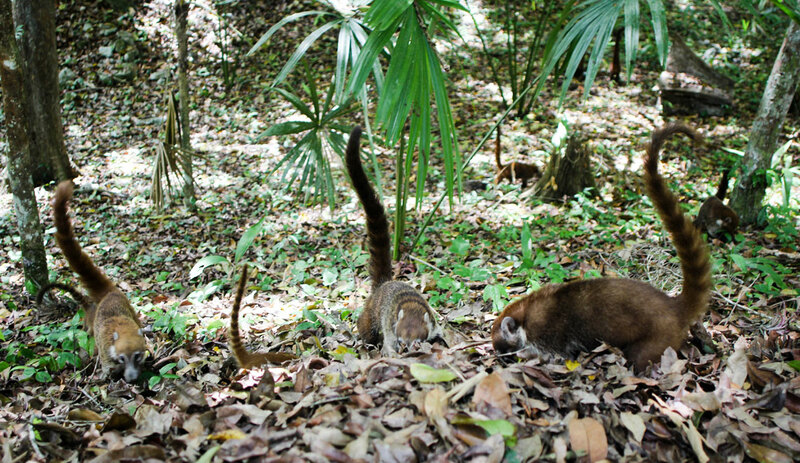 However, it is such a big site and you can easily maneuver off the beaten and into the jungle paths. I love to know about your experience, so leave me a comment below.